Waxed cotton cord. 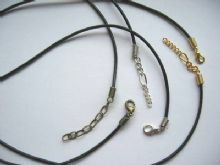 Thong necklaces in Black or Brown. Tigertail. 2 Leather thong necklaces. 2mm. Pick a colour. 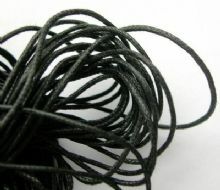 8yds of Black waxed cotton cord - 1mm. Tigertail. 10m of Black or 3m of Silver. Cord.